In case you missed any (or all) of the Martin Luther King (MLK) rides in the past, I wanted to get this out there with plenty of time for you to do whatever you have to do to you make sure you’re there this time. This is a ride you won’t want to miss. Don’t believe me? The start of the MLK3 mountain bike ride last year. MLK1 surpassed all our expectations and become quite a party thanks in large part to our friends The Hoosier Daddies. The second year was just as much fun if not more fun, again thanks to the Hoosier Daddies and everyone else that showed up. Then last year at the MLK3 ride, we were without the Hoosier Daddies, but we still made it a helluva good ride/party. Time: Meet at the Berry-Man Campground Trailhead (Google Map here) at 8:00 AM and roll out as a group at 8:30 AM (faster dudes and dudettes wanting to do two laps might leave earlier – I am not one of those dudes). As mentioned above, some fast riders do two laps. Most riders only do one lap. And then there are others (myself included the last 3 years) who only do part of the trail. There are plenty of places to shorten the route so you can get back to the party earlier. Here’s some info with a link to a map of the Berryman Trail if you’re unfamiliar with it. 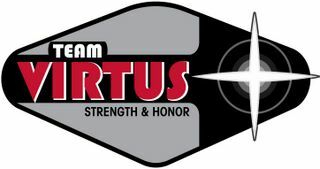 Team Virtus will be bringing supplies to fire up the big grill at the campground along with some meat and other food. I’m sure Kate will bring some of her delicious cookies, and if you’ve never had a freshly grilled cookie, then consider your life incomplete. We won’t have enough food for everyone, so please bring something to add to our pile of food. Also BYOB. Leave a comment below if you’d like to join us. Or you can go to the event page we created on the book-of-faces and let us know if you’ll be there. Or if you’re on Attackpoint, you can see the event right here. Feel free to invite anyone you want as long as they aren’t a-holes. Rumor has it that Bob Effin Jenkins will even be there. I have my doubts, though, since he has missed all 3 MLK rides so far. (**Edit: Bob was actually at the very first MLK Ride, but he has missed the last two). This is one of my favorite rides of the year with some of my favorite people. Hopefully you’ll join us too. Posted on December 6, 2014, in Epicnicity---yeah it's a word, Group Rides, MLK Ride, The Berryman Trail and tagged Berryman Trail, Group Ride, MLK Ride, mountain biking. Bookmark the permalink. 5 Comments. Bob was actually at MLK 1. We have a great picture of you going over the map with Travis and him. I’ll be at MLK4 with cookies. It’s probably my favorite January tradition! Oh man! I guess I forgot about that. We’ll see if he’s there this year, though. You guys don’t like Nickelback? I can’t believe we’ll be doing this ride without beards.